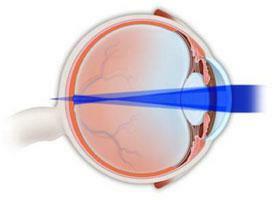 In myopia, there is too much optical power in the eye. 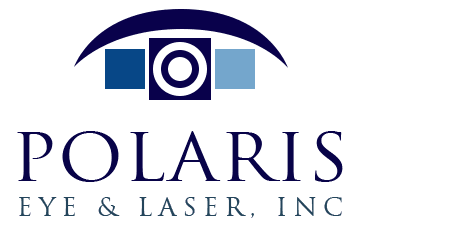 Distance vision is impaired when the eye is too long in relation to the curvature of the cornea or the power of the cornea and the lens are too strong. 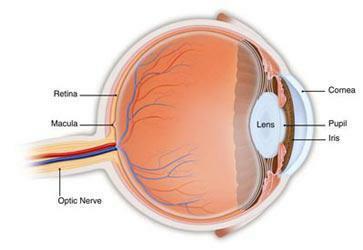 This causes light to focus in front of the retina instead of on the retina. Close objects look clear but distant objects appear blurry. In hyperopia (farsightedness), there is too little optical power. The eye is too short in relation to the curvature of the cornea and light rays are focused behind the retina instead of on the retina. 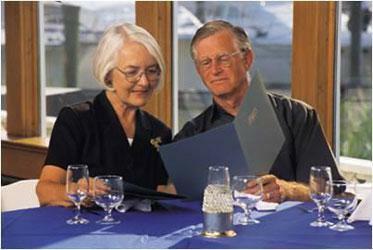 Close vision is impaired, with some impairment of distance vision, as well. 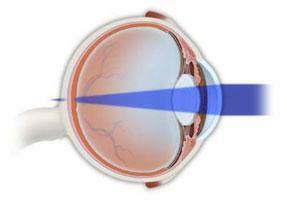 In astigmatism, the cornea is curved unevenly—shaped more like a football than a basketball. 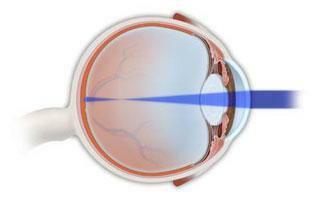 This uneven curvature of the cornea causes light to focus on more than one point on the retina. Both distant and close objects may appear blurry. When young, the lens of the eye is soft and flexible, allowing people to see objects both close and far away. After the age of 40, the lens of the eye becomes more rigid, making it more difficult for the lens to change its shape, or accommodate for doing close work such as reading. This condition is known as presbyopia and is the reason reading glasses or bifocals are necessary at some point after age 40.